Welcome to our Court of Protection in Daventry area. We are specialists in creating Power of Attorneys. Have you ever considered what would happen to your home and savings if you struggled or became physically or mentally incapable of looking after your personal and financial affairs? The Court of Protection is a Superior Court created under the Mental Capacity Act 2005. It protects the property, financial affairs and personal welfare of people who lack the mental capacity to make decisions for themselves. The Court of Protection works closely with the Office of the Public Guardianship; with the latter completing more administrative tasks such as issuing a Power of Attorney. Please call for a free no obligation chat about your Court Of Protection matter on 01536 276300, or use our online enquiry form. What Does The Court Of Protection Do? If there are disputes regarding a Power of Attorney, then the issue should be directed to the Court of Protection. Furthermore, if an individual does not have a Power of Attorney to direct who should deal with their affairs, and they subsequently lose their mental capacity, the only way in which a family member or close friend can make decisions on their behalf is to apply to the Court of Protection. This method is evidently used to ensure that individuals are not taken advantage of at their most vulnerable. 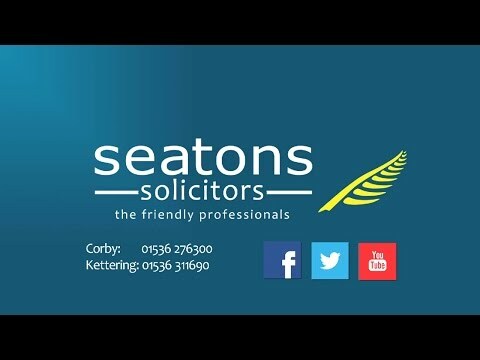 To decide if an individual lacks mental capacity, a solicitor could give their opinion and will then seek medical evidence from a professional. If this medical evidence states that the individual lacks capacity, the Court of Protection will ultimately decide that a Deputy (same duties as an Attorney) should be appointed to deal with their affairs. Once an application has been sent to the Court of Protection, it takes on average 2 or 3 months for someone to be appointment as a Deputy. The most common delay prior to sending the application is obtaining medical evidence. Medical practitioners will usually charge a fee for completing the medical evidence; the fee can range from £50 to £300. When registering the application at the Court of Protection, the application fee is £400 and the appointment of a Deputy is £125. The Court of Protection can then charge an annual supervision fee which ranges from £0 to £800; the most common amount is £175 per annum. The Deputy has to take out a ‘security bond’ to cover their actions and this is payable annually, the amount and bond is set by the Court of Protection and the more assets the individual has, then the higher the bond. An average amount is around £200. Legal costs for the solicitor making the application and there is a lot of work involved. Our charges depend on the complexity of the case. The fees are payable from the assets of the individual who lacks capacity but if the Deputy has to provisionally make payment, then the costs can legally be recovered. A deputy is someone who makes decisions for a person that lacks the capacity to make the decisions themselves. The Court is a Superior Court of Record with its own offices and Judges based in London. Being a Deputy is a hugely important responsibility. Click for more information. Protecting and managing affairs of those who do not have the capacity to manage their affairs themselves. Applying to the Court of Protection can be an expensive process. When applying to the Court of Protection, there are several forms which must be filled out correctly before proceeding. The Court order underlines the key duties and responsibilities you have as the Deputy. The Court Of Protection procedure explained. Click for more. The rules and regulations of the Court of Protection are very complex. Click for more information. The powers a Deputy has are subject to a number of restrictions. The level of support provided is determined by a variety of factors. If you wish to dispute a COP registration you must comply with certain rules. The Mental Capacity Act provides a framework to protect individuals. A Personal Health and Welfare Affairs Deputy can deal with all aspects of a person’s welfare. It’s important that an individual is aware of the responsibilities attached to their role as Deputy. A statutory will is a will for people who do not have the capacity to make one in the usual way. Hello, my name is Adrian Chambers and I deal with Court of Protection matters in the Daventry area. If you need to make an application to the Court of protection on behalf of a loved one then I can help. I can provide you with a fast, friendly and cost effective legal service. All you need do is simply pick up the phone and give us a call on 0800 3 10 11 12 or use our online enquiry form for a no obligation chat and we can take things from there. Signing a Power of Attorney? Is a Loved One Really the Best Option? The wisdom of entrusting your financial affairs to loved ones in the event of illness was thrown seriously into doubt by one High Court case in which a 95-year-old dementia sufferer was let down by a dishonest and stingy relative.